Online trading services in the Forex market by the JSC "Alliance Bank"
JSC "BANK ALLIANCE" provides online trading services in Forex markets that meet the highest international standards, as well as additional services such as analytics, financial news, demo accounts and training. We are proud of our reputation and highly appreciate the confidence of our customers. Owners of trade accounts in our Bank receive comprehensive support of specialists and an individual approach on any issues. The transparency of our services and the reliability of the Meta Quotes Meta Trader5 trading platform ensure efficient and successful work of both a novice investor and an experienced trader. Lack of commissions for trading operations and withdrawals. Trading platform - MetaTrader 5. Possibility of installation on PCs, PDAs, mobile phones and tablets (Android, iOS). The fluctuations of the currency market rates on the Forex market occur every second and every second the investor has the opportunity to earn, provided the correct forecast for further movement of the rate of the chosen currency. 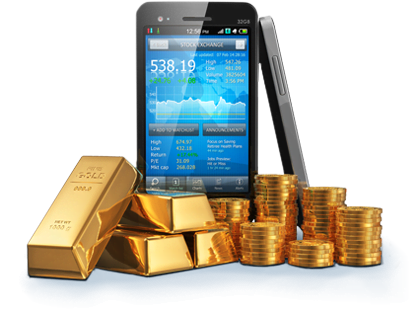 The credit shoulder provided by the Company makes it possible to profit even from the smallest movements. For example, the growth of the EUR / USD rate from 1.1640 to 1.1740 (i.e., only 1 cent) with a 1: 100 leverage will allow you to earn a minimum $ 100 transaction. Given that the course in one day can fluctuate within 0-2 cents, then, subject to the correct forecasting of the course, online trading in the Forex market opens up wide opportunities for earning.